Inaugural Session: From Left to Right: Lt. Gen. S. Mehta (Retd. 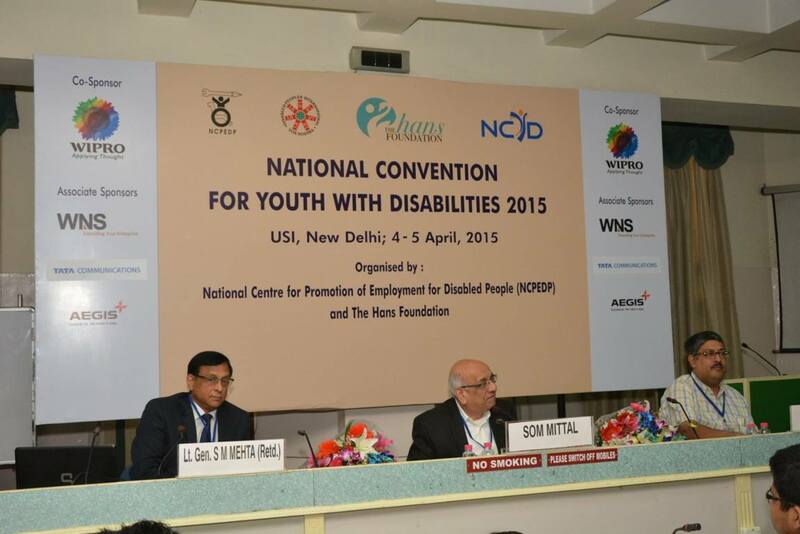 ), CEO, The Hans Foundation; Som Mittal, Former Chairman, NASSCOM; and Javed Abidi, Honorary Director, NCPEDP. 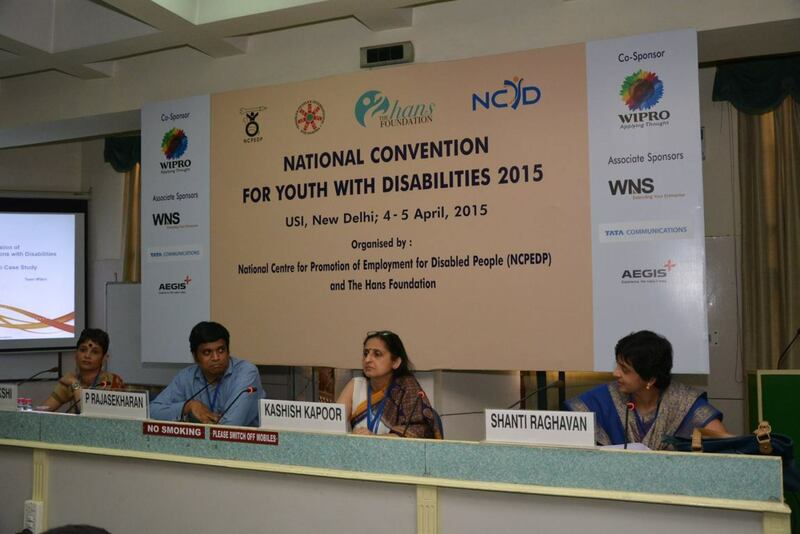 Session on Disability Movement in India: From Left to Right: Dr. Shanti Auluck, Founder & Director, Muskaan; Nidhi Goyal, Disability Rights Activist; A.S. Narayanan, Secretary, National Association of the Deaf; Abdul Mabood, Founder, Snehi; and Javed Abidi, Honorary Director, NCPEDP. 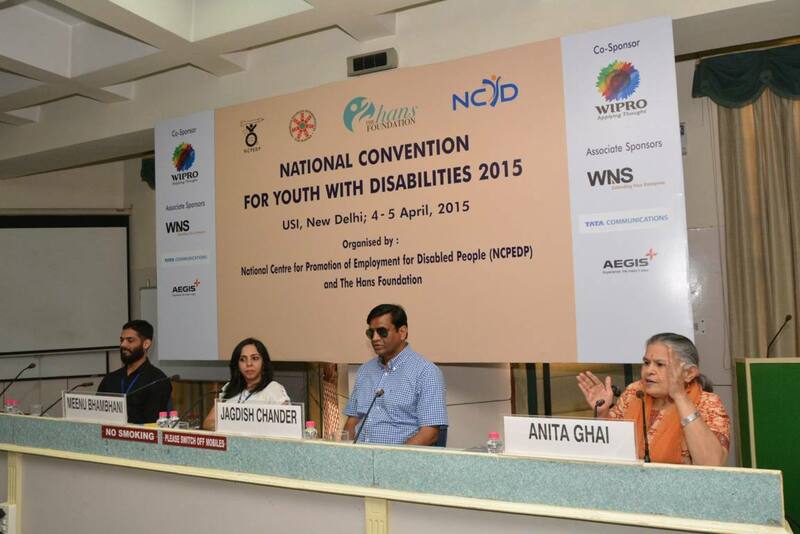 Session on Disability Identity: From Left to Right: Sachin Singh, Participant NCYD 2014; Dr. Meenu Bhambhani, Head, Global CSR, Mphasis; Jagdish Chander, Professor, Dehi University; and Dr. Anita Ghai, Professor, Delhi University. 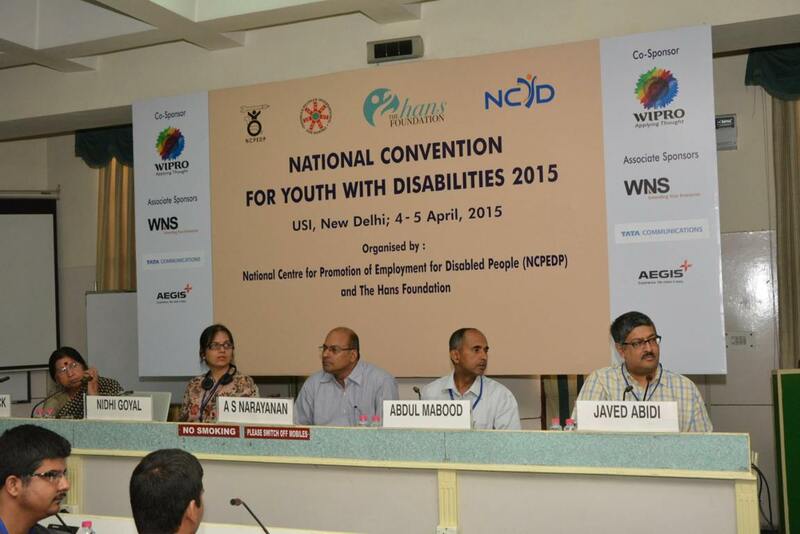 Session on Employment & Disability: From Left to Right: Sonam Bakshi, HR Head, Wipro Infotech; P. Rajashekharan, Co-founder, V-shesh; Kashish Kapoor, HR, Tata Communications; and Shanti Raghavan, Founder, Enable India. 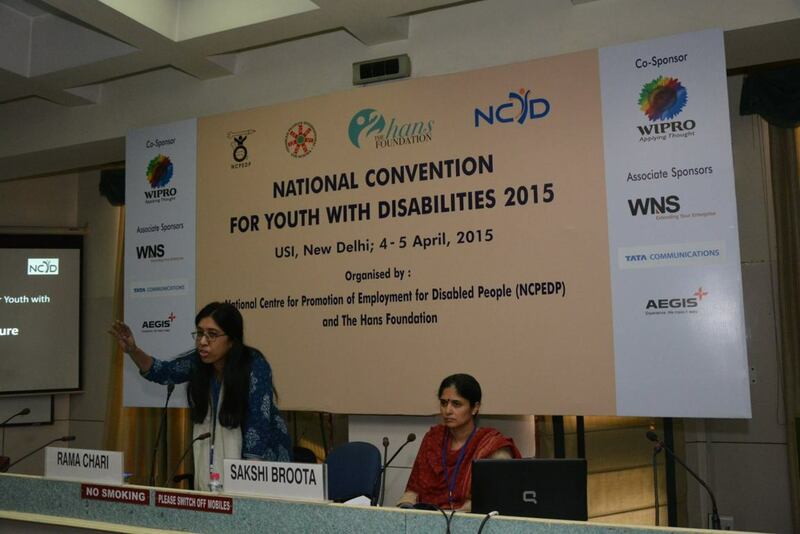 Workshop being conducted by Shanti Raghavan, Founder, Enable India on Day 1 of the Convention. 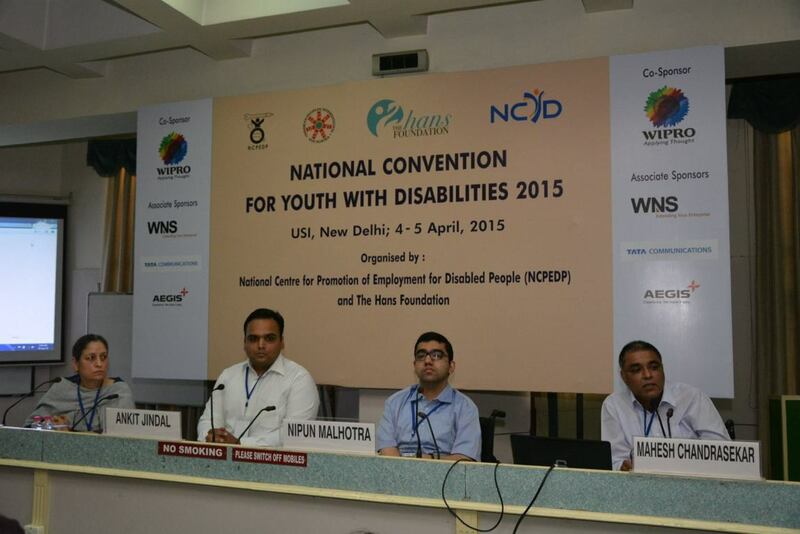 Day 2: Session on Barriers to Inclusion: From Left to Right: Neelam Jolly, Chairperson, VISHWAS; Ankit Jindal, Co-founder, DEOC; Nipun Malhotra, CEO, Nipman Foundation; and Mahesh Chandrasekar, Head, Asia Campaigns and Advocacy, Leonard Cheshire Disability. 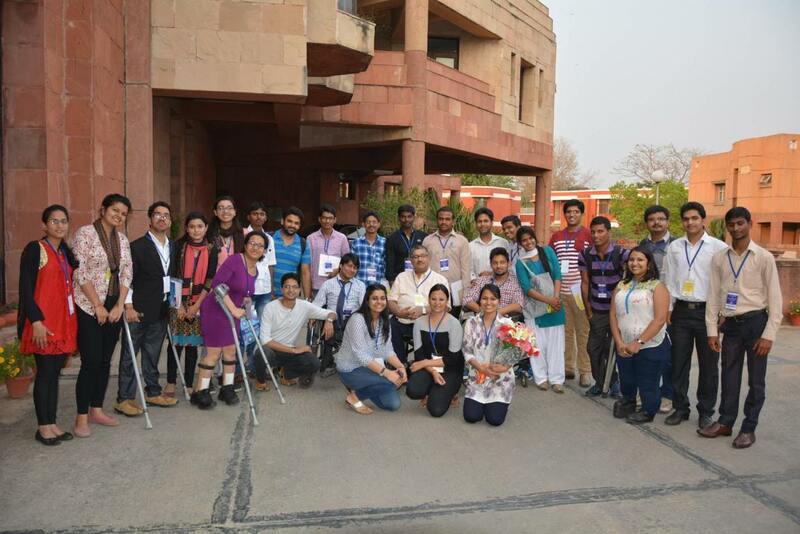 Session on Politics, Leadership and Disability: Rema Nagarajan, Senior Assistant Editor, Times of India with Javed Abidi, Honorary Director, NCPEDP. Session titled 'Into the Future' being conducting by Rama Chari and Sakshi Broota from DEOC. 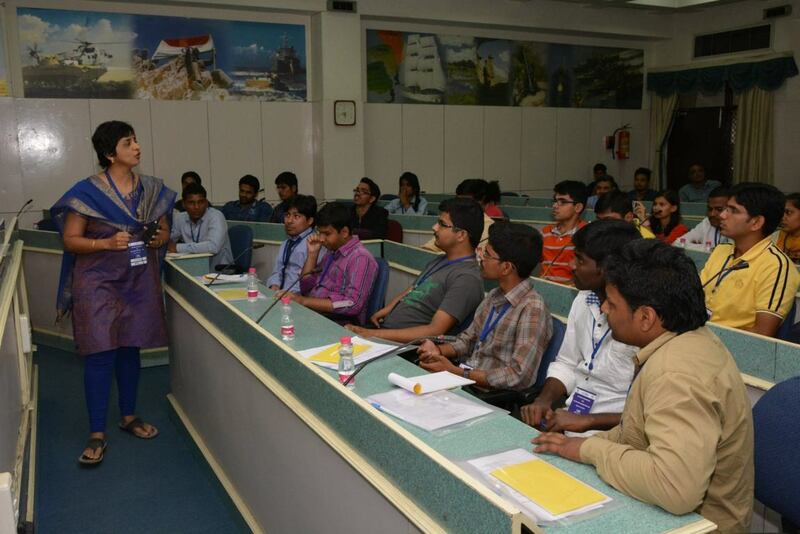 Students interacting with the Panelists. Students participating in Group Discussions. Closing Session: Pradeep Gupta, Chairman, CyberMedia Group with Javed Abidi, Honorary Director, NCPEDP. Participants posing for a group photo with NCPEDP Staff.